Making homemade paella and gazpacho for a Spanish themed dinner makes a fantastic date night! Read on for our recipes for a summertime Spanish meal. One thing Logan and I love to do for dates is cook together. When life is full, cooking is usually me whipping up something fast that we eat in front of a Netflix episode before moving onto homework (him) and whatever needs to get done that night (me). So when we have more time and energy to actually cook together, we like to try cooking new things that expand our horizons. Our favorite way to do that is to have a theme dinner. We’ll grab Mark Bittman’s The Best Recipes in the World cookbook (a gift Logan gave me back when we were dating) and pick a nationality/ethnicity. Almost textbook-like, the cookbook has more than a thousand recipes (plus many recipes offer variations or suggested substitutions) from all over the world. We’ll turn to the back where the recipes are cataloged by nationality and choose 2-3 recipes for the country we’ve chosen, and then make them! We have big dreams of doing a full-on themed date night with music and drinks from that country while we cook, plus a related movie or game or form of entertainment as well, but honestly we haven’t planned that far ahead to make all those happen. Next time. Last week, we chose Spain! There was something about the higher temps here that made me long for the beach and a slower pace. Which of course reminded me of the Spanish way of structuring your day: a good long siesta in mid-afternoon, followed by a late dinner. This time four years ago I was gallivanting across Europe and spent a week in southern Spain, where I got to experience the joys of siestas and cook fresh food, including a paella in Cadiz where the seafood was right off the boat! While jobs and life didn’t quite allow for a siesta that day, we did make some seafood paella and gazpacho to embrace the summer heat. An eggplant gives this recipe some depth of flavor beyond just tomatoes. Veggies sliced and ready to roast! Bittman says to roast the tomatoes whole. Roasted veggies, about to marinate! There was so much of this soup that I had to marinate and blend in two batches: here’s round one, steaming fresh from the oven. Soup all blended, about to be strained! 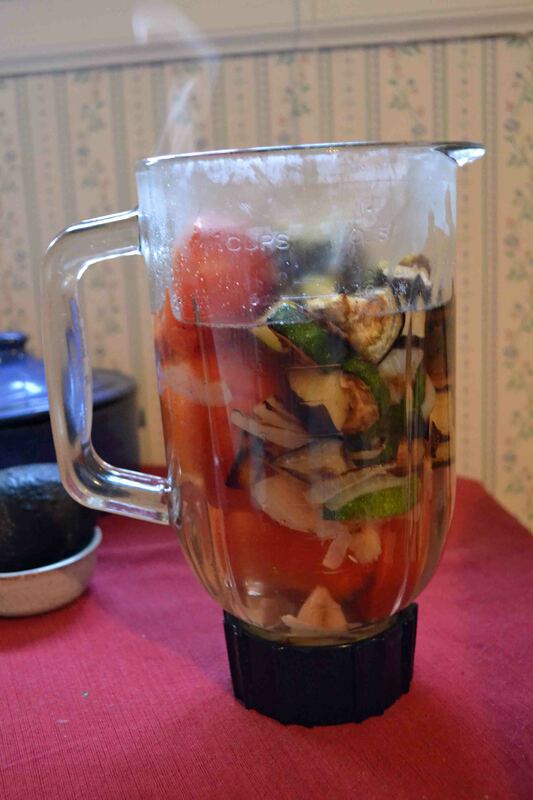 Note: the not-very-red color is likely due to the fact that there’s lots of other veggies in here. Plus the quality of tomatoes matters a lot here. Homegrown, farmer’s market, or heirloom tomatoes are going to give a tastier soup and likely a more satisfying color. To start the paella: shape the sausage into balls. Perfectly evenly shaped sausage courtesy of my much-more-patient husband. Add the uncooked rice. Cook in the onion/oil mixture for a minute, stirring regularly, until the rice glistens. Once the rice is glistening, add the warm broth and shrimp. The finished product, after baking. I had to stop myself from digging in with a fork immediately. These are the recipes we used. Again, mostly Mark Bittman’s, with a couple of my own tweaks. Preheat the oven to 450°F. Warm the broth in the microwave for 1 minute or so, then let sit. Cut sausage into slices or chunks, whether in link form or not. Brown the pieces, then set aside. Place a large (10 or 12-inch) ovenproof skillet over medium-high heat, then add oil. When oil is hot, add onion and cook for 5 minutes, stirring occasionally. 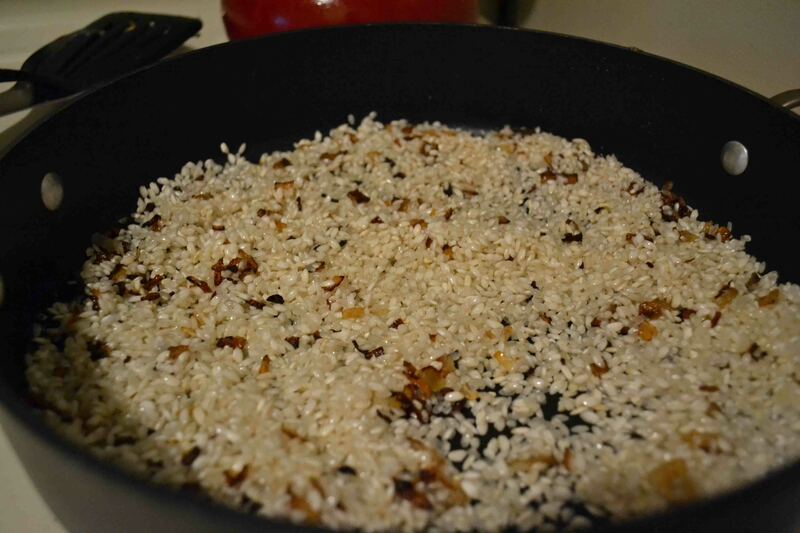 Add the rice and cook for 1-2 minutes, stirring occasionally until it looks glossy. Add salt and pepper and stock. Once combined, add the shrimp and sausage and stir together. Put the skillet in the oven and bake for 25-30 minutes. It’s done when the liquid is gone and rice is fully cooked. Serve immediately. *Note: this is quick to make, but first half must be done earlier in the day or night before. Preheat oven to 400°F. 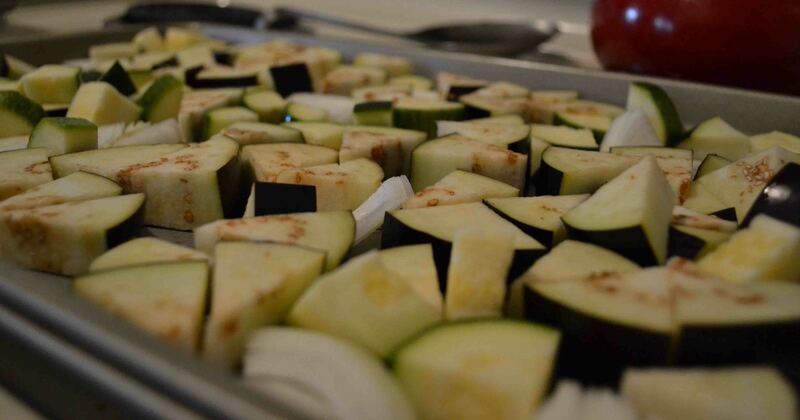 On a roasting pan, combine eggplant, zucchini, onions, garlic, onion, and olive oil. 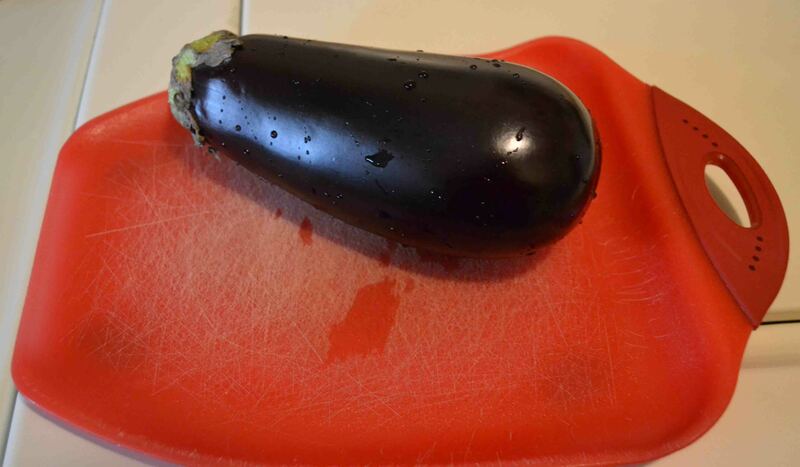 Roast until eggplant is tender, about 30 minutes. Check every 10 minutes and stir/flip as needed. 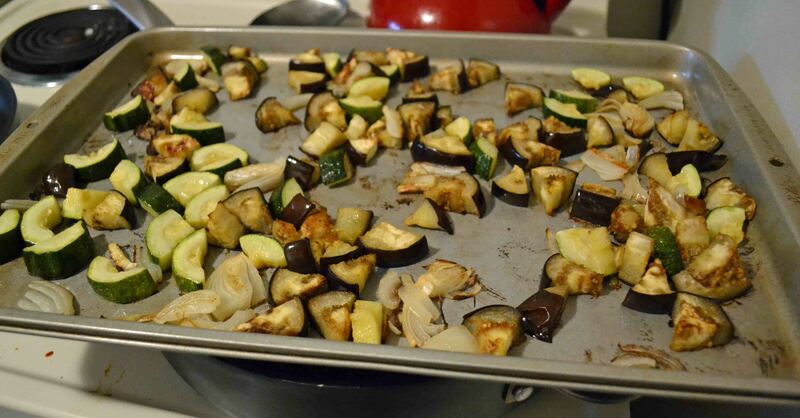 Put roasted veggies in a bowl with vinegar, salt, pepper, 3 cups water, and bread. Refrigerate for a couple hours or overnight. Use a blender (or food processor, I used a blender) to blend the mixture until smooth. Strain out solids once blended. Check that seasonings are as you want them. Serve cold.